Reviewed by Dan Hastings on April 18th, 2018, playing on PlayStation 4. Sprawling sand sparkles under the heavy sunshine. 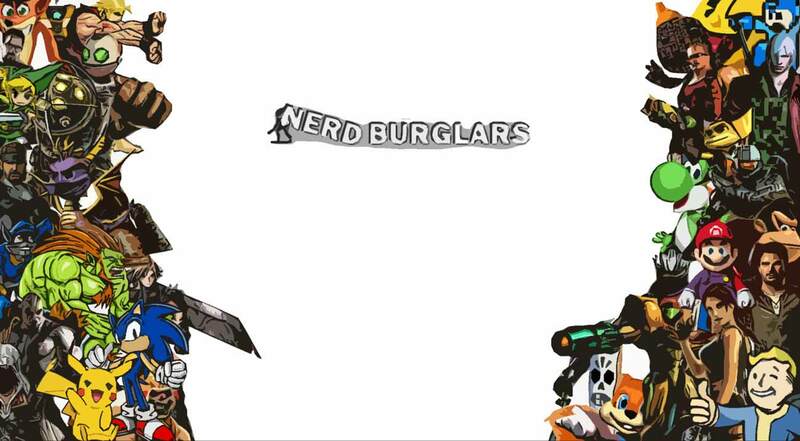 As calming music begins to play, you gain control of the main character and begin a highly unusual adventure. 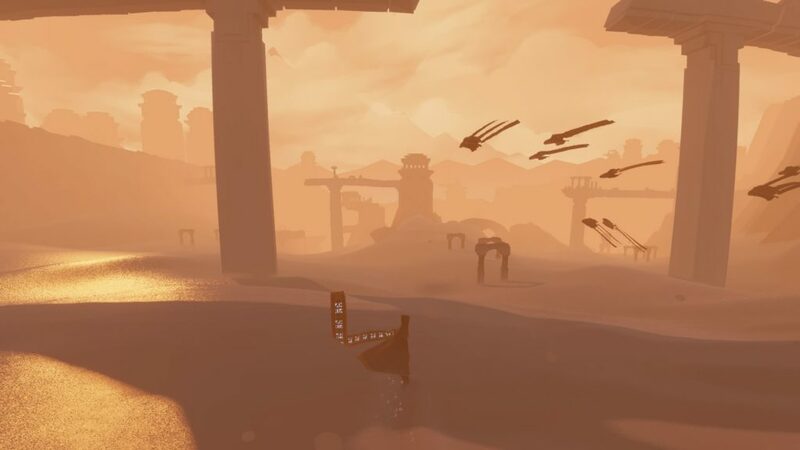 Journey is a very pretty game with a very subjective meaning. What you get from this game will be entirely based on you perspective. Whatever way you perceive it, Journey is an enlightening experience. If someone were to ask for a quick summary, it would be quite difficult to do so without doing the game an injustice. Having completed the game, I don’t know how to explain what it is about. I can only give my thoughts on how I perceived it. Perhaps that is what the game is set out to achieve? There is one simple goal, make your way across the desert to a large mountain in the distance. There is no dialog and no on screen text. The entire game is void of any language. The game has limited means of communication, yet somehow it works just fine. This is one of the most impressive parts of the game. Games will often have tutorials that teach you how to play. With Journey there is absolutely nothing. No guide to teach you what to do, no dialogue to tell you what is going on. The game teaches you the ropes by playing on your natural curiosity. The desert is a barren place and it is very easy to get lost in the endless hills of sand. Somehow, I never did get lost. When trying to figure out which way to go, there was always something that caught my attention. My "best guess" always seemed to be the correct guess. Subtle clues that seem to connect to your subconscious are what through the sands. This makes it feel as though you are responsible for this journey and no one is guiding you along. Very little is given to you for the back story or even story in general. You appear to be playing as some sort of red nun who has a magic scarf. Every now and then a cutscene will show you with a larger white nun. They never explain what is being said between the two of them, but it relates to the journey. You characters scarf allows you to fly, but it has a limited amount of power. You power the scarf up by touching off pieces of cloth that are floating around the desert. Once you have enough power, you can fly for a period of time. Glyphs that are hidden around the desert will increase the length of your scarf. Each extra glyph will increase your flight duration. The pieces of cloth in this game are quite unusual. They seem to be made of the same material as your scarf. They appear to be sentient creatures, aware of your presence, or at least the scarfs presence. Holding down circle will trigger all the floating cloth pieces to push you into the air. The more cloth pieces, the higher you will fly. As you progress through the story, you will encounter various other cloth based creatures. Some of them can be used to carry you through the sands like a surf board. And other jelly fish like creatures can help you reach higher areas. For the most part, there are no hostile creatures. There are 1 or 2 levels where it is possible to die from an enemy you cant kill. Other than this there are no enemies. The lack of combat controls would make it quite difficult anyway. The game is split up into small areas and you usually need to free some pieces of cloth to unlock the path to the next area. There is no combat and the platforming controls are very limited. You can’t jump, but you can fly, assuming your scarf has power. You have only 2 buttons to use. One to fly and the other to interact with the cloth. While these controls are minimal, they force you to use motion controls for the camera. The game has no settings menu, so this can’t be turned off. I found it quite annoying that any time I moved the camera would go spinning, unless I kept my hands completely still. What Journey lacks in the narrative, it makes up for in beauty. The game incorporates a very artistic style. Your time spend travelling through the levels is very relaxing. 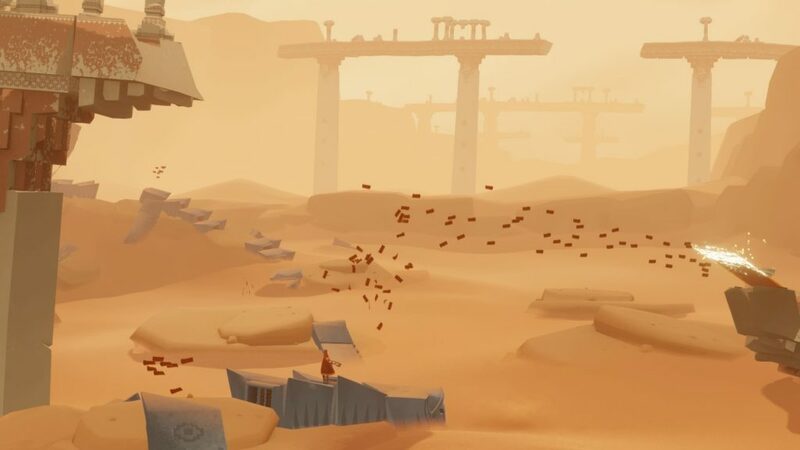 Journey reminded me a lot of games like Shadow of the Colossus and Ico. A relatively large world that is almost completely void of life. Ruins exist, but there is no explanation as to who built them and where those people are now. It gives you a feeling of loneliness and isolation yet somehow the game still comforts you. The warmth of the environment and the calming music all work together to trigger some unusual feelings as you play. The game is fairly short, lasting about 2-3 hours. This is just enough time as this game is pretty much a walking simulator with no story. Any longer than this and it would have become quite boring. 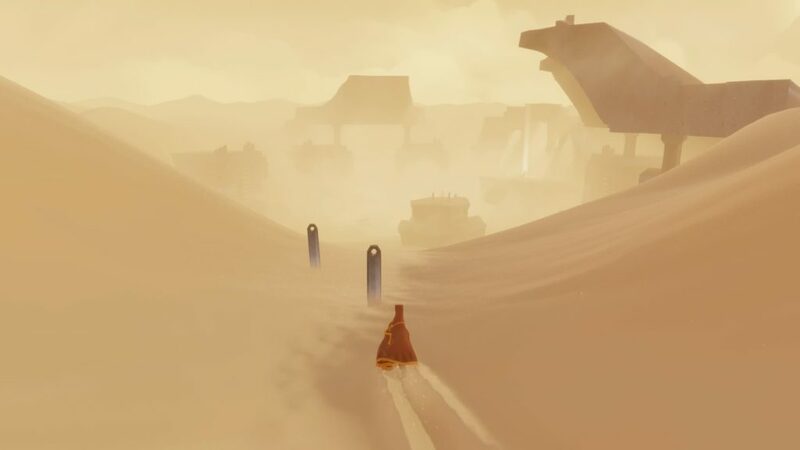 Journey is a worthwhile experience for those looking for a relaxing game. What you take from the ending is going to be subjective. Regardless on how you feel, you will surely have admire the journey you took to get there. Very clever ways of directing the user through the desert without blatantly pointing it out. A highly unusual and relaxing adventure that manages to tell the story of a journey without using a single word. The game is stunning and has a very unique visual style to it. The gameplay is simple, yet adequate for the style of game. It is a short experience that is unique and really stands out of other games in a similar genre. The lack of a narrative may turn some people off, but if you can deal with this, it is a game worth playing.